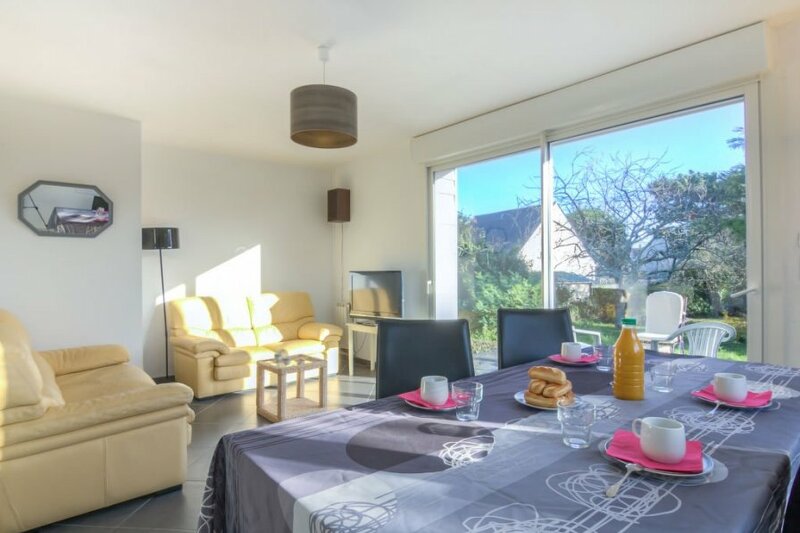 This 2 bedroom house is located in Saint-Pierre-Quiberon and sleeps 4 people. It has WiFi, parking nearby and a gym. The house is within walking distance of a beach. Casino de Quiberon 5.8 km, Thalasso 6.4 km, Alignements de Carnac 15 km, La Trinite sur Mer 22 km, Vannes 42 km, Belle-Ile-en-Mer.. The agent describes this house as a family friendly holiday rental ideal for the summer holidays. It is also good value for money. This house is located in Saint-Pierre-Quiberon. The nearest airport is 67km away. It is set in a very convenient location, just 600 metres away from a beach.